Today I'm happy to participate in a blog tour for an upcoming YA release from Cedar Fort Press. December 8th marked the release of newcomer L. G. Rollins' first installment in the Zaad Stone Trilogy, Shadows of Angels. "Stay calm, her father's words echoed in her head. When you find yourself in danger, above all, stay calm. Aerbrin took a deep, steady breath and leaned down, reaching for her bow. One of the Forest Dwellers charged. It collided with her and knocked her to the floor. Raising a knotted fist, he bashed her head. Sparks exploded across her vision. She tried to raise an arm, tried to call out. Her body wouldn't respond. The Forest Dwellers grunted again. The creature above her raised its fist again. She looked up. This was the end, she knew. When these monsters attacked, they killed everything. Animals, plants, and particularly humans. No one survived. Closing her eyes, Aerbrin forced her body to relax. This time, there was no pain." Rollins is a Utah-based writer where she lives with her husband and four children. She fills her time writing fiction, homeschooling her kids, cooking, baking, and watching Lucille Ball reruns. 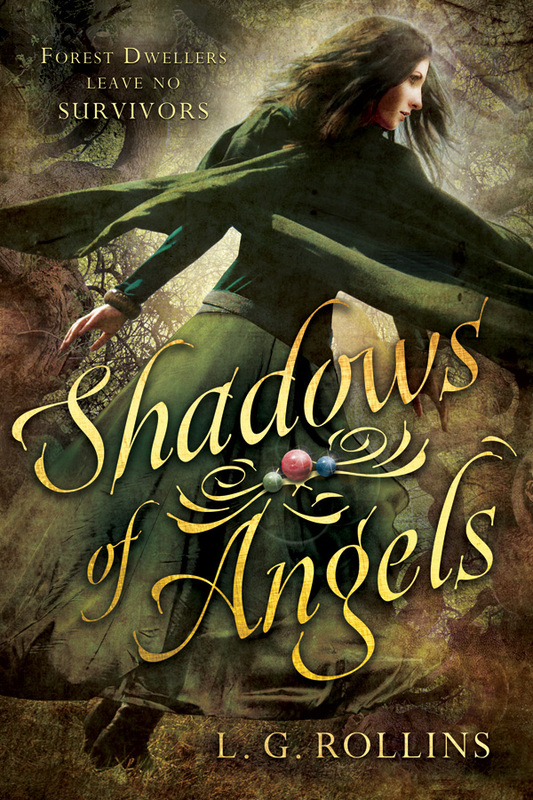 If you love YA fantasy, check out Shadows of Angels!